Give the one you love the Benefit Cake POPS! 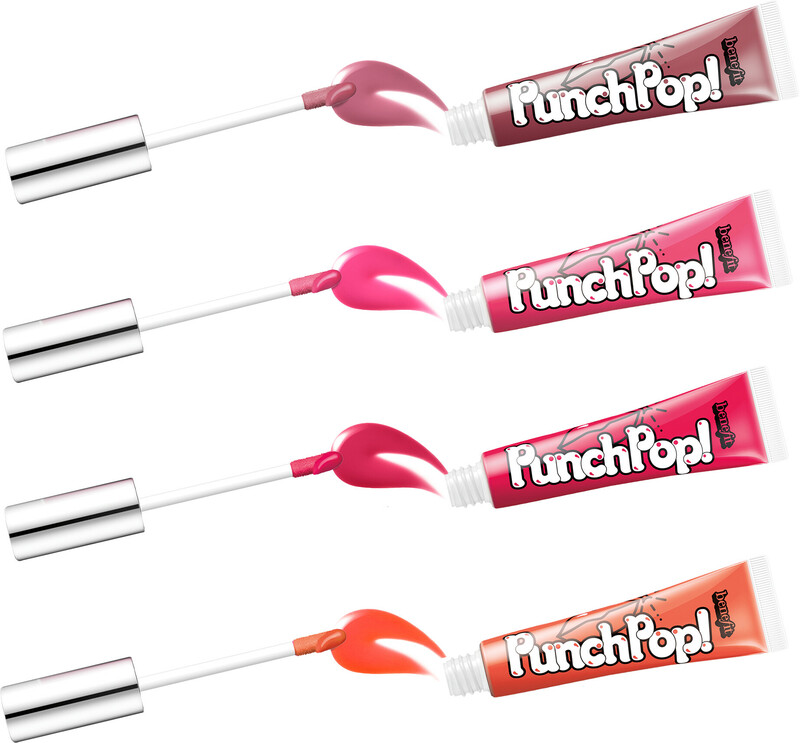 Bright & Bold Punch Pop! Gift Set, a set of four cushiony liquid lipsticks in vibrant shades that make a statement. Created to offer a touch of colour to any look, these gorgeous liquid lipsticks are full of fun and packed with personality. Enriched with vitamin E, the lightweight texture feels ultra-comfortable on application, while the long-lasting, non-sticky finish will provide a beautifully shiny result with excellent colour pay-off. 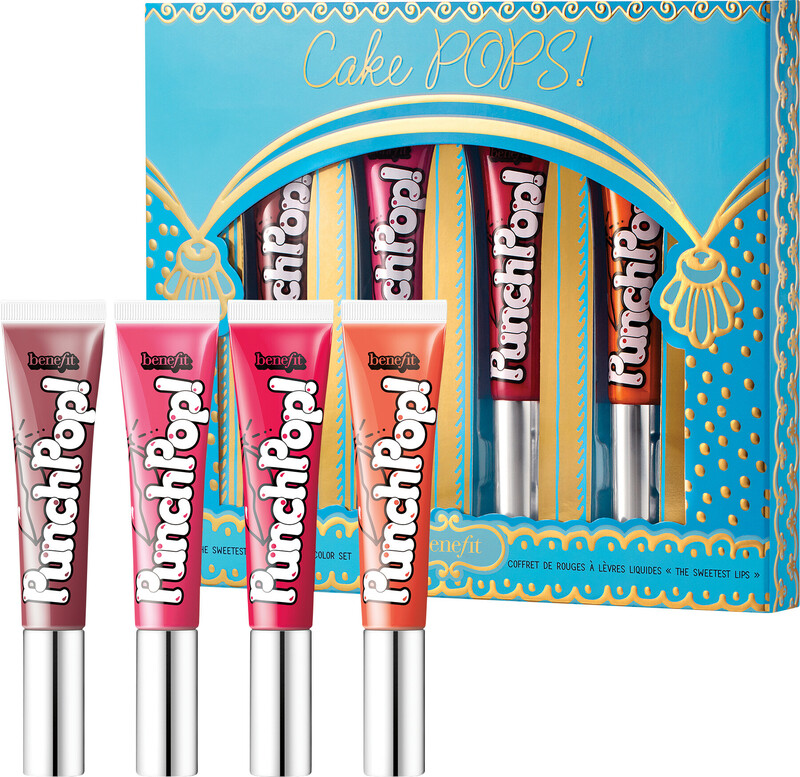 Offering four bright lip colours, there’s a shade to complement her every mood and outfit within the Cake POPS! gift set. It’s an instant lip wardrobe! A girl can never have too many lipsticks, and your special someone is sure to find a new lip love within this sweet collection. 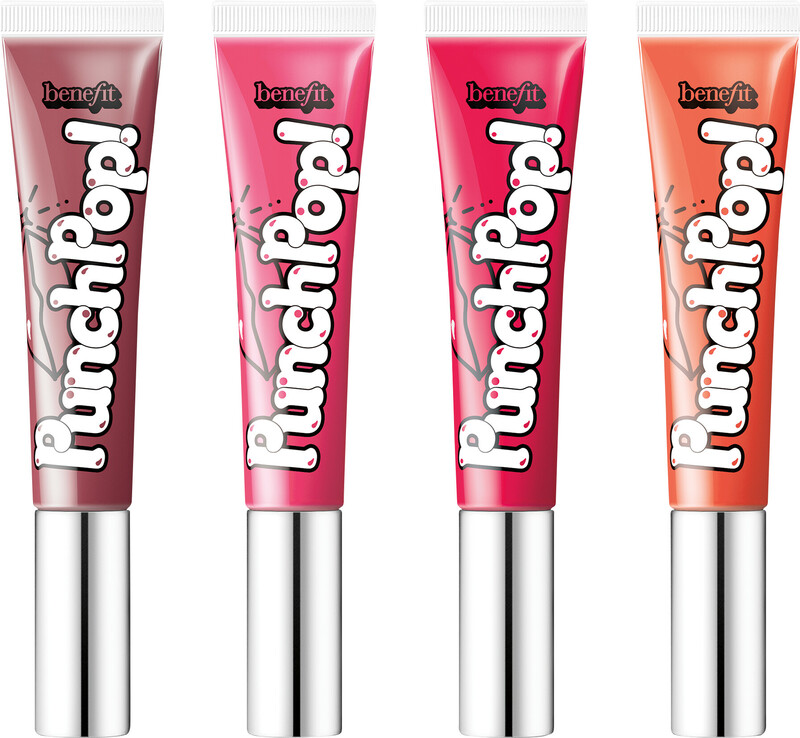 Versatile and creative, the glossy finish of each Punch Pop! lip colour makes them ideal for wearing alone or gliding over the top of her favourite lipstick. You can be sure that she’ll be popping one of these sweet shades into her bag for a top-up throughout the day! 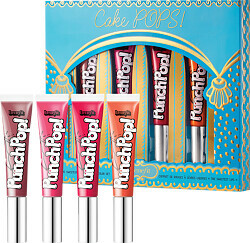 Benefit Punch Pop! Liquid Lip Colour 7ml Cherry: Set pulses racing with this vibrant red with pink undertones. 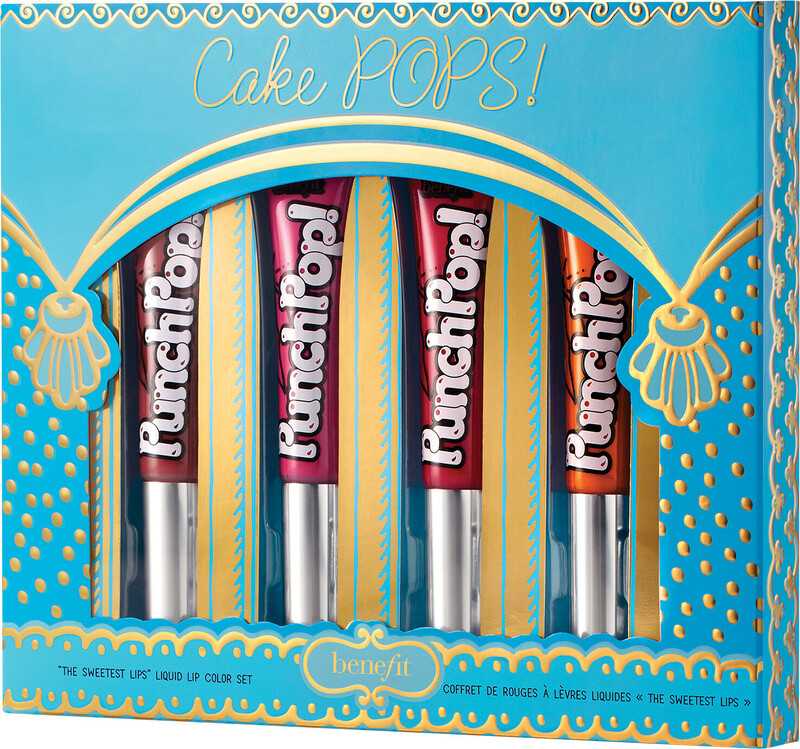 Benefit Punch Pop! 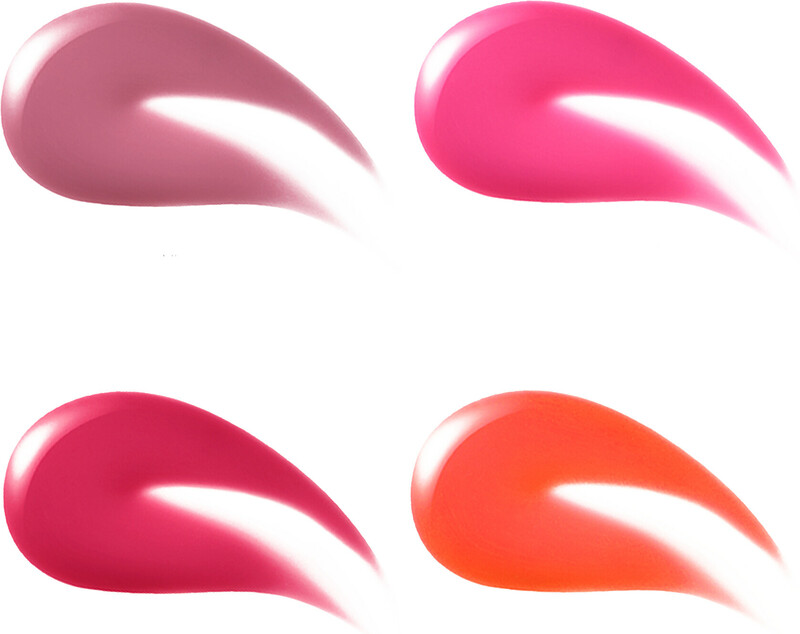 Liquid Lip Colour 7ml Pink-Berry: An everyday pink that offers an intense pop of colour. Benefit Punch Pop! Liquid Lip Colour 7ml Watermelon: Make a statement with watermelon, a playful pink. 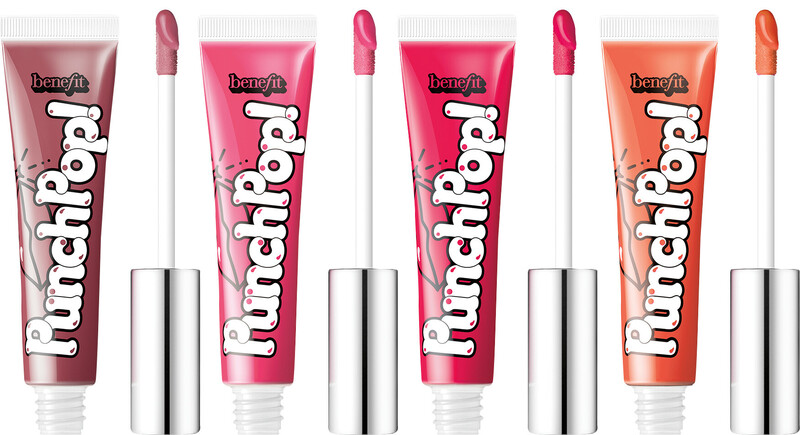 Benefit Punch Pop! Liquid Lip Colour 7ml Mango: Feeling daring? Mango is a gorgeous orange hue that will complement all skin tones. POLYBUTENE, DIISOSTEARYL MALATE, PENTAERYTHRITYL TETRAETHYLHEXANOATE, SILICA DIMETHYL SILYLATE, BIS-DIGLYCERYL POLYACYLADIPATE-2, PHYTOSTERYL/ISOSTEARYL/CETYL/STEARYL/BEHENYL DIMER DILINOLEATE, POLYGLYCERYL-2 TRIISOSTEARATE, POLYGLYCERYL-2 DIISOSTEARATE, PHENOXYETHANOL, CAPRYLYL GLYCOL, TOCOPHERYL ACETATE, TOCOPHEROL. [+/-: CI 12085 (RED 36, RED 36 LAKE), CI 15850 (RED 6, RED 7, RED 7 LAKE), CI 15985 (YELLOW 6, YELLOW 6 LAKE), CI 19140 (YELLOW 5, YELLOW 5 LAKE), CI 42090 (BLUE 1 LAKE), CI 45380 (RED 21, RED 21 LAKE, RED 22 LAKE), CI 45410 (RED 27, RED 27 LAKE, RED 28 LAKE), CI 73360 (RED 30, RED 30 LAKE), CI 77891 (TITANIUM DIOXIDE), CI 77163 (BISMUTH OXYCHLORIDE), CI 77491, CI 77492, CI 77499 (IRON OXIDES), CI 77742 (MANGANESE VIOLET)]. N° 11415/A INGREDIENTS: POLYBUTENE, DIISOSTEARYL MALATE, PENTAERYTHRITYL TETRAETHYLHEXANOATE, SILICA DIMETHYL SILYLATE, BIS-DIGLYCERYL POLYACYLADIPATE-2, PHYTOSTERYL/ISOSTEARYL/CETYL/STEARYL/BEHENYL DIMER DILINOLEATE, POLYGLYCERYL-2 TRIISOSTEARATE, SYNTHETIC FLUORPHLOGOPITE, PHENOXYETHANOL, CAPRYLYL GLYCOL, TOCOPHERYL ACETATE, POLYGLYCERYL-2 DIISOSTEARATE, TOCOPHEROL. [+/-: CI 12085 (RED 36, RED 36 LAKE), CI 15850 (RED 6, RED 7, RED 7 LAKE), CI 15985 (YELLOW 6, YELLOW 6 LAKE), CI 19140 (YELLOW 5, YELLOW 5 LAKE), CI 42090 (BLUE 1 LAKE), CI 45380 (RED 21, RED 21 LAKE, RED 22 LAKE), CI 45410 (RED 27, RED 27 LAKE, RED 28 LAKE), CI 73360 (RED 30, RED 30 LAKE), CI 77891 (TITANIUM DIOXIDE), CI 77163 (BISMUTH OXYCHLORIDE), CI 77491, CI 77492, CI 77499 (IRON OXIDES), CI 77742 (MANGANESE VIOLET)]. N° 11416A INGREDIENTS: POLYBUTENE, PENTAERYTHRITYL TETRAETHYLHEXANOATE, DIISOSTEARYL MALATE, SILICA DIMETHYL SILYLATE, BIS-DIGLYCERYL POLYACYLADIPATE-2, PHYTOSTERYL/ISOSTEARYL/CETYL/STEARYL/BEHENYL DIMER DILINOLEATE, POLYGLYCERYL-2 TRIISOSTEARATE, PHENOXYETHANOL, CAPRYLYL GLYCOL, POLYGLYCERYL-2 DIISOSTEARATE, TOCOPHERYL ACETATE, TOCOPHEROL. [+/-: CI 12085 (RED 36, RED 36 LAKE), CI 15850 (RED 6, RED 7, RED 7 LAKE), CI 15985 (YELLOW 6, YELLOW 6 LAKE), CI 19140 (YELLOW 5, YELLOW 5 LAKE), CI 42090 (BLUE 1 LAKE), CI 45380 (RED 21, RED 21 LAKE, RED 22 LAKE), CI 45410 (RED 27, RED 27 LAKE, RED 28 LAKE), CI 73360 (RED 30, RED 30 LAKE), CI 77891 (TITANIUM DIOXIDE), CI 77163 (BISMUTH OXYCHLORIDE), CI 77491, CI 77492, CI 77499 (IRON OXIDES), CI 77742 (MANGANESE VIOLET)]. N° 11417/A.